Egyptian Cotton™ is without doubt one of the finest, most luxurious materials in the world. Synonymous with comfort, opulence and sophistication, its softness can only be matched by pure silk. That’s why Egyptian Cotton™ is the perfect indulgence for snuggling up, getting comfy and letting your cares fall away. Exceedingly durable, this cotton only gets softer the more times you wash it, making it a worthwhile and long-lasting purchase. But how do we achieve such consistent stunning quality? What is it about Egyptian Cotton™ that elevates it so high above the rest? Our secret ingredient is Egypt itself. 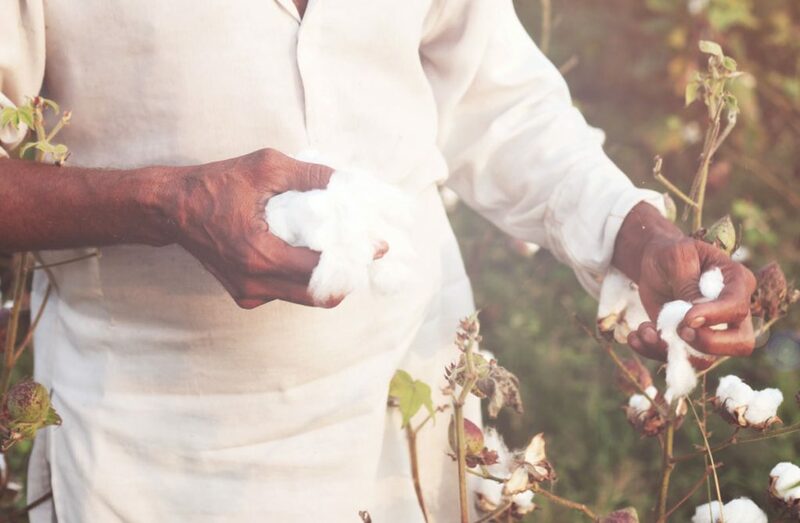 Its moderate climate, fertile soil and political commitment to cotton have all proved absolutely vital to the success of Egyptian Cotton™. Now a major part of the economy, Egyptian Cotton™ is woven into the very fabric of Egyptian life. The very first Egyptian Cotton™ was actually produced by a Frenchman, Monsieur Jumel. Attracted by the extra long-staple fibres and keen to learn more about Egyptian Cotton™, he cultivated it and had three bales shipped across the Mediterranean to France. There, they were sold for a remarkably high price. This was an early sign of future success and fame. The River Nile has long been the lifeblood of Egypt. Its gushing waters have created an oasis amid the desert, providing Egypt with wonderfully fertile soil. Extensive irrigation ensures that the cotton receives a constant supply of nutrients, helping it to grow longer individual fibres. The longer the fibres are, the less ends there are within the cotton, creating a smoother overall finish. This smoothness is further boosted by the unique outer surface of Egyptian Cotton™. In order to grow an exquisite extra-long staple cotton, the plants must have very stable weather whilst they mature. Egypt is ideal for this. During the summer months of July and August, the cotton basks in consistently warm temperatures, ensuring it is ready for harvesting in September and October. Whilst much of the world’s cotton is machine harvested, especially in the USA, Egypt has remained firmly devoted to delicate hand-picking. We believe that this is the only way to create a truly perfect product. With years of experience and knowledge about Egyptian Cotton™ passed down through the generations, we certainly have the skills to undertake this precise work. Machine harvesting may be cheaper and quicker but it can also be extremely damaging to the cotton. Plant branches and leaves get caught up with the cotton and it has to be cleaned over and over again to get it lovely and clean. Obviously, the more you handle the cotton the more likely it is to become damaged and stressed. By choosing to hand-pick all Egyptian Cotton™, we can proudly say that our material is amongst the purest out there. When purchasing Egyptian Cotton™, you should feel confident in the knowledge that our lustrous product has been carefully hand-picked with your comfort in mind.